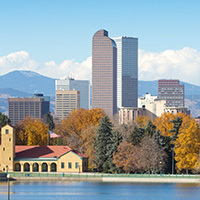 The mission of the Regional Air Quality Council is to develop and propose effective and cost-efficient air quality planning initiatives with input from government agencies, the private sector, stakeholder groups, and citizens of the Denver metropolitan region. 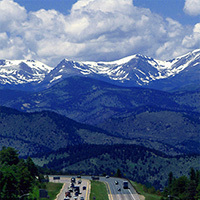 Its primary task is to prepare state implementation plan elements that demonstrate and ensure long-term compliance with state and federal air quality standards and provide acceptable public health and environmental protections to those residing in the Denver metropolitan area, as well as the North Front Range area, as appropriate. In 2008, the RAQC developed a plan to achieve compliance of the 1997 8-hour ozone standard (0.08 parts per million). The continued work of the Council is necessary in light of multiple air quality issues including, but not limited to, the ongoing indentification of strategies for reducing ozone-cuasing emissions with a focus on emissions from the transportation sector to come into compliance with the 2008 federal ozone standard, and the likelihood that the U.S. Environmental Protection Agency will lower the federal standard when it next reviews this standard in 2013. In addition to developing these federally mandated plans, the Governor has charged the Council with developing and administering public education programs regarding air quality and air pollution control and prevention in the Denver area. Council shall continue its ongoing efforts to reduce vehicle tailpipe emissions through the Repair Your Air Campaign and diesel retrofit programs. The Council also serves as an educational resource on regional air quality issues to elected city and county officials in the Denver region. Finally, the Council participates in rulemaking proceedings affecting air quality programs in the Denver area. The Council itself consists of no fewer than twenty-four members appointed by the Governor. No fewer than six (6) representatives of local governments in the Denver metropolitan area; at least one (1) representative from Denver Regional Council of Governments; at least one (1) local government representative from the North Front Range Metropolitan Area; one (1) representative of entities that are or have stationary sources; one (1) representative of automotive-related businesses; one (1) representative of the region’s transportation management agencies; one (1) representative of the general business community; one (1) individual with transit expertise; one (1) member of the public with appropriate transportation experience; one (1) member of the public with appropriate land use planning experience; one (1) member of the public to represent the conservation community; one (1) member of the public to represent the broad public interest; one (1) representative of Larimer County; one (1) representative of Weld County and one (1) citizen at large. 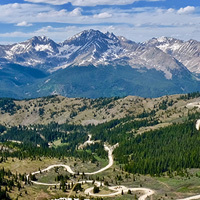 The four (4) remaining members are the executive directors of the Colorado Department of Public Health and Environment, the Colorado Department of Transportation, and the Department of Local Affairs and the General Manager of the Regional Transportation District. Andy Spielman has been reappointed chairman of the Council by the Govenor. Kenneth H. Lloyd is the Council’s executive director. The Council employs a small staff of professionals with a wide range of expertise in air quality technical and policy issues, planning, engineering, economics, intergovernmental relations, communications, and administration. 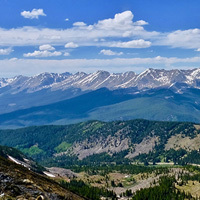 The Council and its staff work closely with the State of Colorado’s Air Pollution Control Division and Air Quality Control Commission in assessing and developing air quality plans and programs. 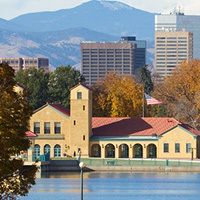 The work of the Council is coordinated with the regional and transportation planning programs of the Denver Regional Council of Governments, an organization of local elected officials, and the North Front Range Transportation and Air Quality Planning Council, as appropriate. The Council also works closely with local governments, the General Assembly, the private sector, citizen groups and other affected parties to develop workable and sensible solutions for the metro area.